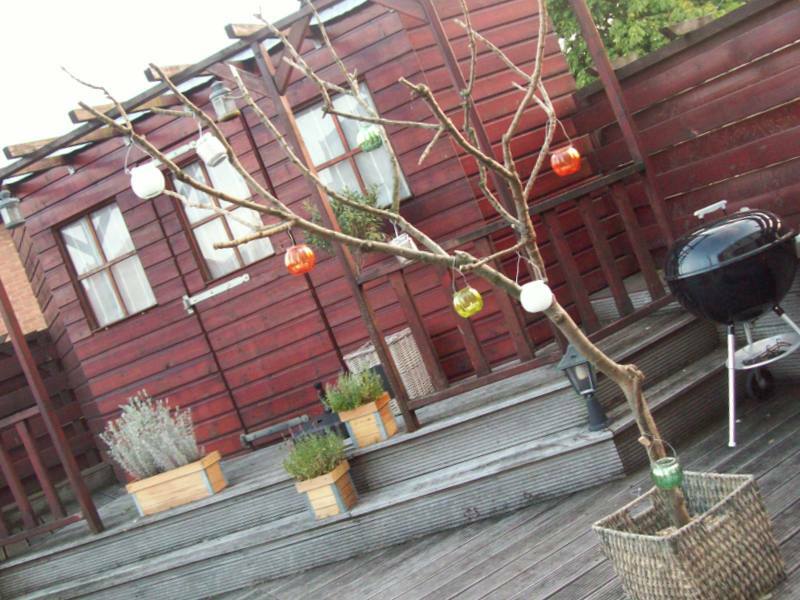 While thinking of a way to make our terrace summer proof, I remembered my CANDLE TREE of 2 years ago. 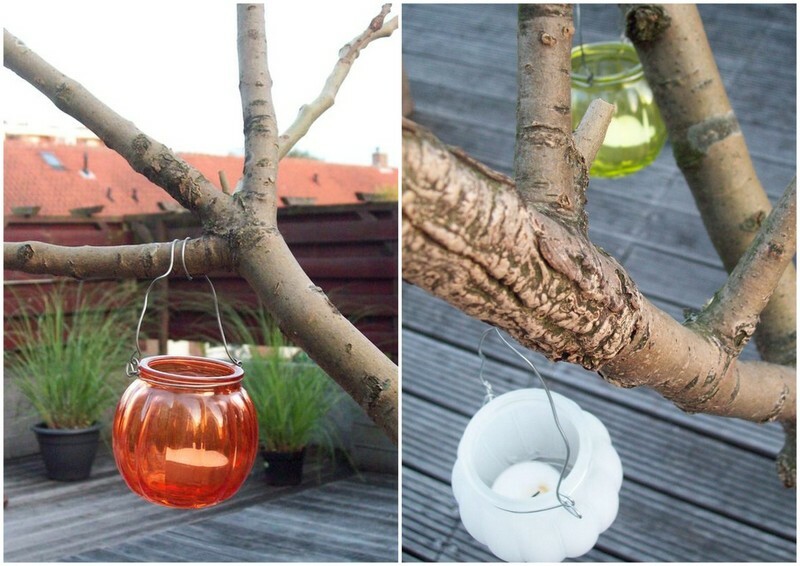 As I very much enjoyed the colourful burning lights during summer nights, I´d like to share this DIY with you. 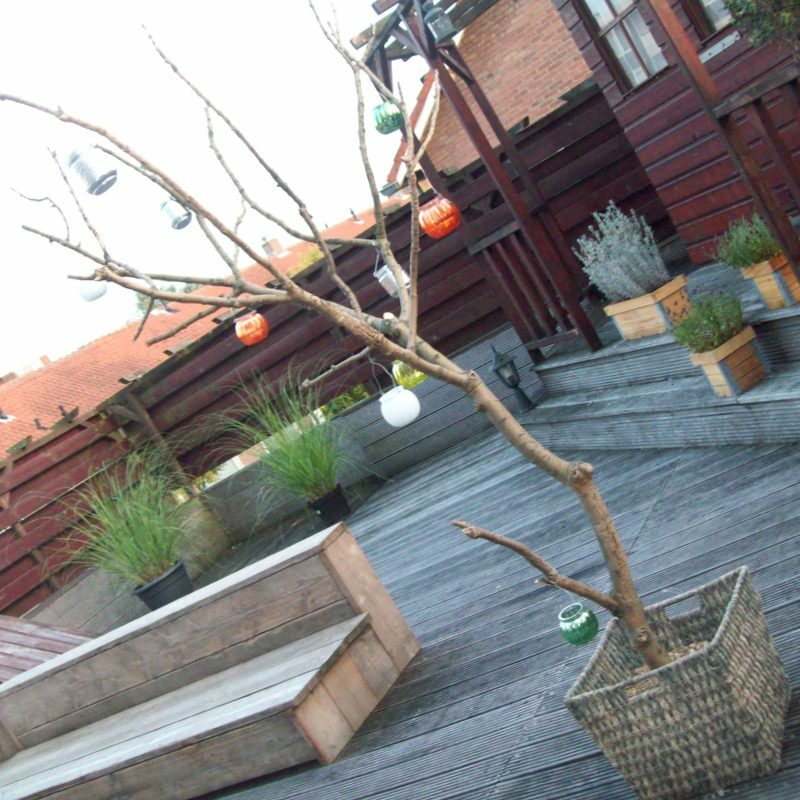 All you need is a big branch, a basket or tub filled with gravel or something heavy, and – of course: candles in colourful jars! 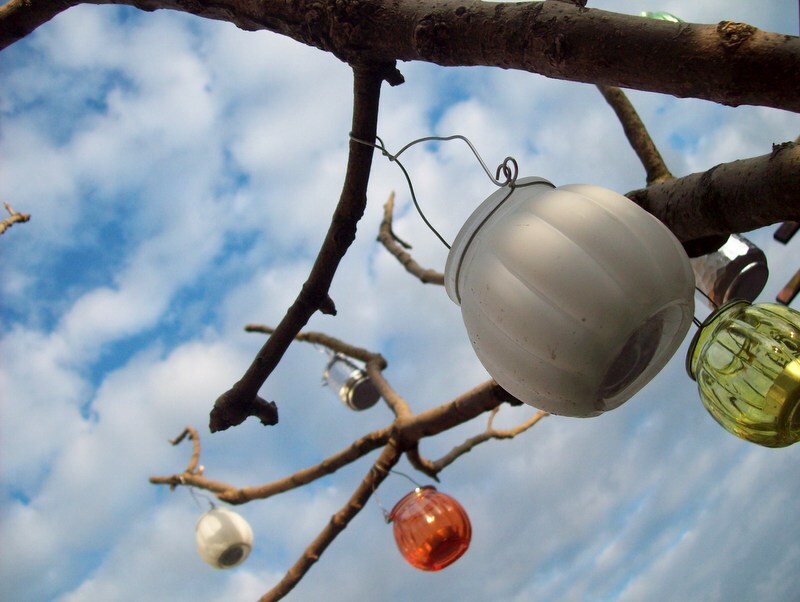 Tip: Make sure that the jars are connected safely to the tree by wrapping the iron wire a few times around the tree.